I’ve had this blog since 2009. For nearly 9 years I’ve written about technology, improving school leadership and have shared my personal insights on being a connected educator. For me, blogging has become a part of my learning process and a platform through which I share information. Whenever I keynote, lead a workshop, or write an article about blogging I always get the same handful of questions about getting started. I believe many educators want to start blogging but they just don’t know where to start or what to do. 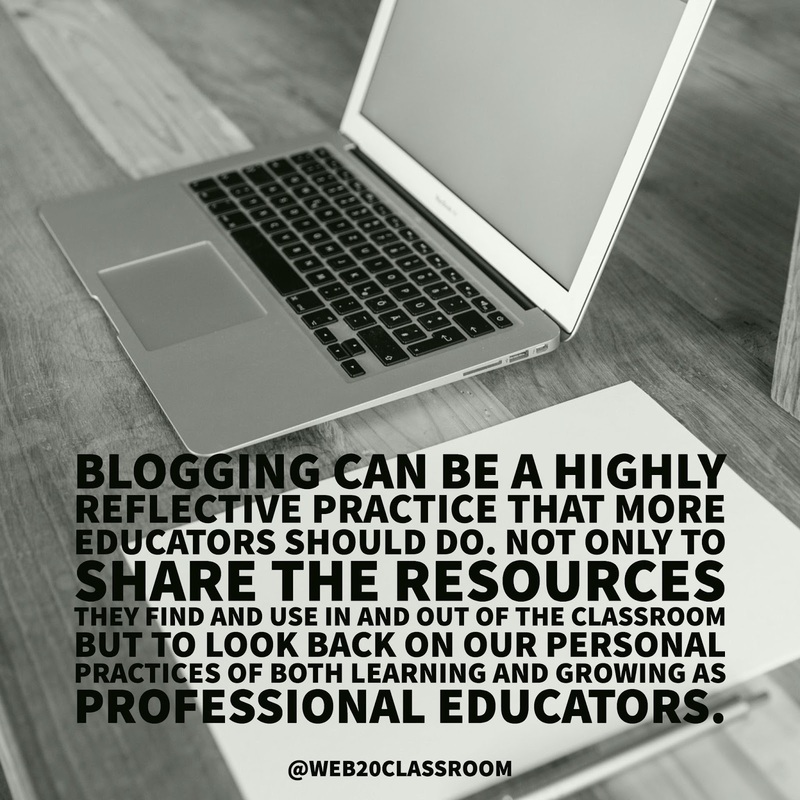 Blogging can be a highly reflective practice that more educators should do. Not only to share the resources they find and use in and out of the classroom but to look back on our personal practices of both learning and growing as professional educators. I want start a blog. What’s the first thing I should do? Congratulations! You are about to embark on a journey that will bring you great fulfillment but can also be fraught with frustration as well. Don’t let that deter you. 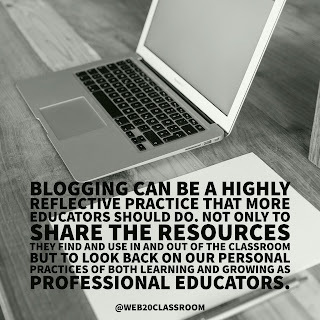 Blogging is a practice that can open doors and help you process who you are as a learner. In order to become a blogger you must be a reader of blogs. When you read other blogs you get a sense of what you want your blog to look like, sound like, and to just have a general understanding of what works (and doesn’t). The best, first step is to spend time each day reading blogs. Try to find blogs that align with your interests. Are you an elementary teacher? Read elementary blogs. Are you interested in Edtech? Read those types of blogs. Who are your favorite people to follow on Twitter or other social media channels? Look at their profiles. Many have blogs that they write. Read those. And don’t just read the new stuff. Go back in their archives. Many times the gems any blogger has written isn’t their last post. It’s buried deep, so go after it. Check out the Teach 100 for a great list of blogs to read. Also this list is a good one to check out. Ok, but what do I write about? This is probably the most common question I get. Everyone wants to know the magic formula for what to write about. The fact is, there isn’t one. The best advice I have is to write about what interests you. If you have a project that you are working on in your class write several posts about how you got started, what planning went into it, what works and what doesn’t. 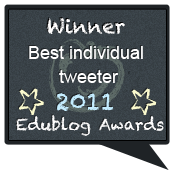 Much of what educators do can be turned into a blog post or three. The key is to just write. I carry around several notebooks with me where I can jot down ideas, paragraphs or just free form write whenever the mood strikes. I also use the Notes app on my phone or a blank Google Doc. To find what you are passionate about you have to first write. Maybe what you initially write isn’t for public consumption. Maybe it’s just to get a feel for your voice and your form. The best thing all bloggers do is just write. Where should I put my blog? Do I need my own domain name? Doesn’t matter and doesn’t matter. I use Blogger. Some bloggers want more control over design and widgets and prefer to use Wordpress. Others use Medium or other services. Some don’t host a professional blog at all and regularly post their thoughts on an open forum such as ISTE Communities or ASCD Edge. The platform doesn’t matter; each has their advantages and disadvantages and they are all about equal. As for your own domain name, it doesn’t much matter either. If you want a more personalized feel for your blog, a unique domain name can help. It can also be good to have that domain name as part of your larger brand if that is something that interests you. However, in the end, having your own domain or not doesn’t make your posts any more readable. How often should I write? This is the second most popular question I get. And it’s another that has no definitive answer. The more you write, the more opportunities folks have to read your work and share. But if you write too much it doesn’t give your posts time to have longevity and for others to digest and respond to them. I try to post once per week. But as we all know, real life gets in the way and sometimes I can’t stick to that schedule. Do what works for you. Don’t go so long that people forget you blog. Try to come up with a schedule that works for you and stick to it. How long should my posts be? Here is another question I get often. If you do a search you will get a wide array of responses from shorter is better to longer is better and everything in between. Think about your own personal preferences. Do you want to sit down and read a novel in one sitting? Probably not. And think about who’s going to be reading your posts. Busy educators. The more detail you can pack into one post and keeping it brief the better. Don’t be afraid to split posts into series or parts. This also gives readers a reason to come back and read more. How do I deal with negative comments or comments in general? One of the best parts of blogging are the conversations that they can start. Sometimes you will write a post and people will read and share but won’t leave a comment. Other times your comments section will blow up and you won’t be able to keep up. You have to prepare yourself for those that disagree with you too. A little bit of push back is a good thing. We all have different perspectives on things and sharing with each other is how we learn and grow. But there is a difference between comments that push back and those that are just inflammatory. You don’t have to respond to the inflammatory ones. Using a comment service like Disqus can not only help moderate comments but cut down on spammy ones too. I said that way back on September 17, 2013 and yet I think it is even more true today than even back then. When I was in the classroom, I felt isolated as a teacher. Teaching middle school math and science my first few years out of college I had ideas as to what I wanted to do but I really needed help. I would reach out to my colleagues but many were apprehensive to give away their secrets. They wanted their kids to be the best using the methods they had developed over the years. All I wanted to do was improve and I felt stuck. We live in an age where we have near real time access to just about anything you want to know and to the people who know it best. Social media allows us to connect, to learn, to grow and to reflect not only within ourselves but with each other. As just as my quote says we are brilliant together. Recently, on a webinar with my friend Erin Olson, she talked about an activity she does with teachers. She has them write 3 things they need to improve their learning and 3 things they can give to improve the learning of others. As you could guess it’s easy for them to write the 3 things they need. However, when asked about the 3 things to give many struggle to come up with one. Many educators still believe they have little to offer to improve the learning of their colleagues. All of us have something to offer. An incredible lesson or teaching method that just worked. Or maybe it was an idea that was born out of a struggle to get kids to better understand their content. All of us have had those wins that could help others win too. 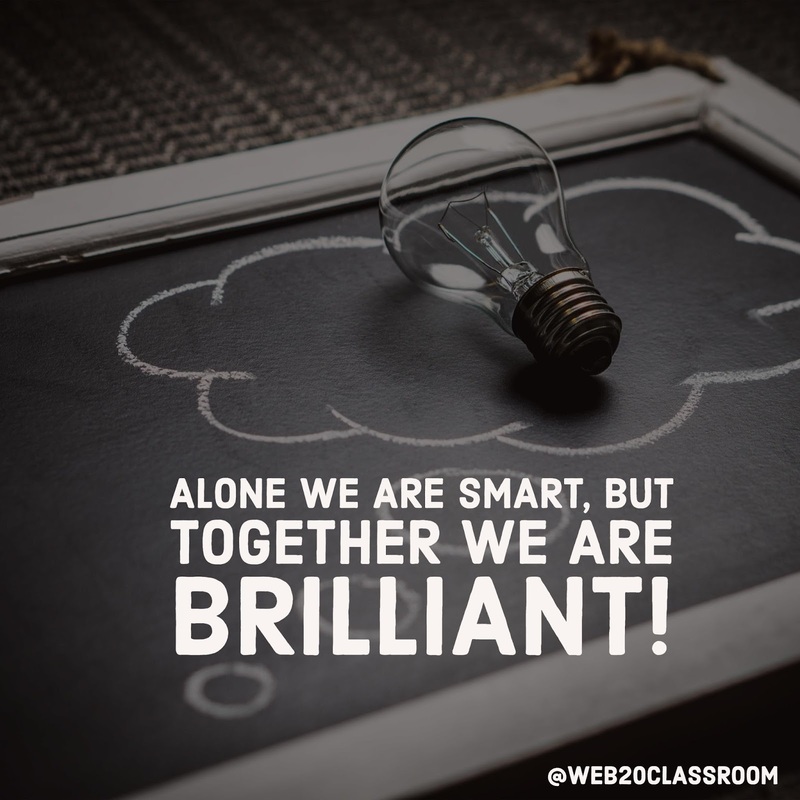 Being a connected educator is more than just taking ideas from a Twitter chat or even this blog post. It’s about always being in pursuit of that selfish goal of improving our learning so we can improve learning for kids. Our personal learning networks are all different. Mine looks different from yours and yours from mine. But that is where the beauty lies. Each of us has something different to learn and different to offer. They are going to naturally look different. And they are a constant work in progress. 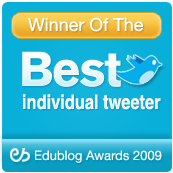 We don’t just decide to have a personal learning network and we find some folks to follow and we are done. 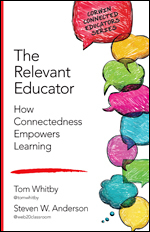 Connected educators constantly have to be chasing down the learning they need and the educators who know it best. Edweb-Most know Edweb for their awesome webinars (like this one this week on school culture.) But what many don’t know are the extensive communities that come with those webinars. In those communities there are blogs, messages boards and tons of people to follow and learn from. And you don’t have to feel like you have to visit all the time. At the end of the day you can get a simple email that tells you all that was discussed and upcoming events. You can participate at your pace. The Leadership 3.0, Early Childhood Learning Solutions, Game-Based Learning and Amazing Resources For Educators. Come for the webinars, stay for the conversations! ASCD Edge-The ASCD Edge community is full of some of the brightest minds in education sharing blogs, having discussions and posting resources. You don’t have to be a member of ASCD (although you should be) to join. Create a free account and browse the hundreds of groups, and insightful blogs. The groups cover topics like Being A New Teacher, Mobile Learning, Problem Based Learning and more. And if you don’t find a group that suits your learning needs you can request a new one created for you. Google Communities-Often overlooked, Google Communities can be a great place to connect with others on loads of topics. Of course they have many Google related like the Google Classroom community. But there are several other active ones like Connected Classroom, PBL, and Digital Leadership. Voxer-This one will surprise many, because I am not a Voxer fan. I have used it sparingly and honestly don’t know if I even have the app on my phone any more. For me Voxer doesn’t work. For others it may be the best thing ever. Voxer is a 2-way, walkie-talkie type app. Think of it like leaving a voicemail for someone without calling. You can create small groups and leave longer voice messages or text. The app is free and many educators use them for book talks, reflection, or to, believe it or not deliver professional development. This is a very comprehensive list of ongoing Voxer conversations that you can jump into. 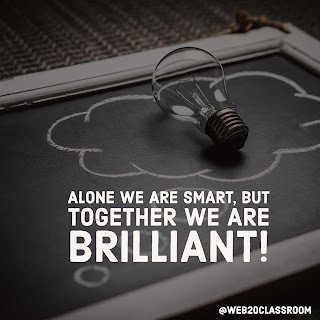 If you are looking for more ways to grow your PLN, Shaelynn Farnsworth and I recently wrote a blog post about why it’s important to be connected, and you can check our our resources we shared recently at ASCD. It’s important to point out here that the tool is just the means we use to connect. It’s what we do with those connections that really matters. The art of being connected is in the conversations, the discussions, the debates, the learning, sharing and growing that all take place when we connect to each other.